Here we are, over a week into October already. Is it just me, or has 2015 flown by? I have to admit: the past ten months have not been at all what I expected. Plans changed, priorities shifted, interests in various projects waxed and waned. There has been hope and also disappointment, and I've learned a lot about humility and perseverance. In fact, when I chose a word to guide this year, I went with "dig." Now that I'm in the trenches, "patience" seems far more fitting. The only problem with patience is that it lulls you into a false sense of waiting. And when you're waiting for things to happen, for decisions to be made, for questions to be answered, you end up biding your time instead of living your life. I felt that way for a good chunk of 2015 and tried to convince myself it was a virtue. Now that we're entering the homestretch and I'm looking back, it feels more like waste. This isn't to say that 2015 has been a total wash - there were wedding celebrated, words revised, books read, friends met, homes made. But it could have been better. I could have let it be more. To that end, I'm recommitting myself to 2015. To digging in and moving forward, with or without permission. I even made a list of Goals for Fall, things I want to do during this brief and beautiful season. It's not a ground breaking list and you've probably seen a thousand iterations of it already, but I like writing things down. It makes them more likely to happen. Visit a corn maze or go on a hayride. Carve a pumpkin and roast the seeds. 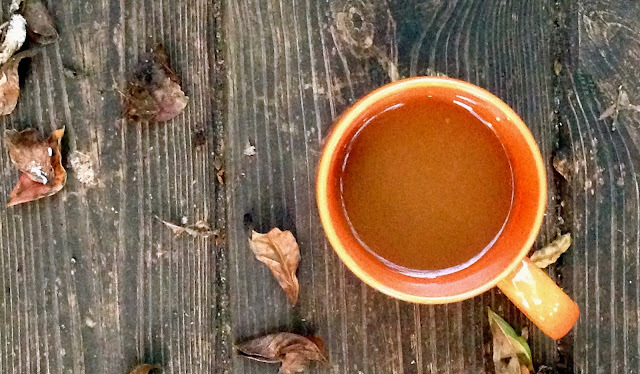 Brew a batch of seasonal (but not pumpkin flavored) beer. Camp at Lake Waccamaw with Nathan and the dogs. Bake bread with Kat, who is a bread baking champion. Drink everything at the Lighthouse Beer and Wine Festival (October 24th!). Do something special for our 13 dating / 3 year marriage anniversary in November. Run a Turkey Trot on Thanksgiving morning, then eat all the tofurkey. That should keep me busy for a few weeks, I think. In the meantime: Onward. Upward. In.